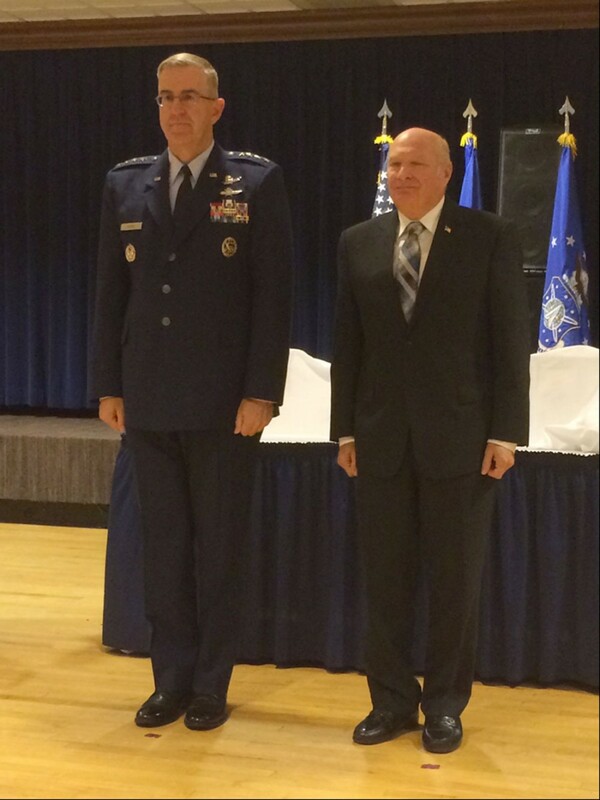 On September 8th, 2016 General John Hyten, Commander Air Force Space Command (AFSPC), presided over a ceremony during AFSPC’s Space Heritage Week to honor three individuals with the Air Force Space and Missile Pioneers Award. The three were also inducted to the Air Force Space and Missile Pioneers Hall of Fame. The inductees are General (ret) Thomas S. Moorman, Major General (ret) Robert “Rosie” Rosenberg, and Major General (ret) Thomas “Tav” Taverney. In 1989 the National Space Club of Washington, D.C., established the “Air Force Space Pioneers Award.” In conjunction with the Air Force’s 50th anniversary and Air Force Space Command’s 15th anniversary in 1997, the award was formalized as an official Air Force award. Also in 1997 Air Force Space Command established the Space and Missile Pioneers Hall of Fame and took over responsibility for the Air Force level award. Since then, periodically, a select few have been honored with the prestigious award. 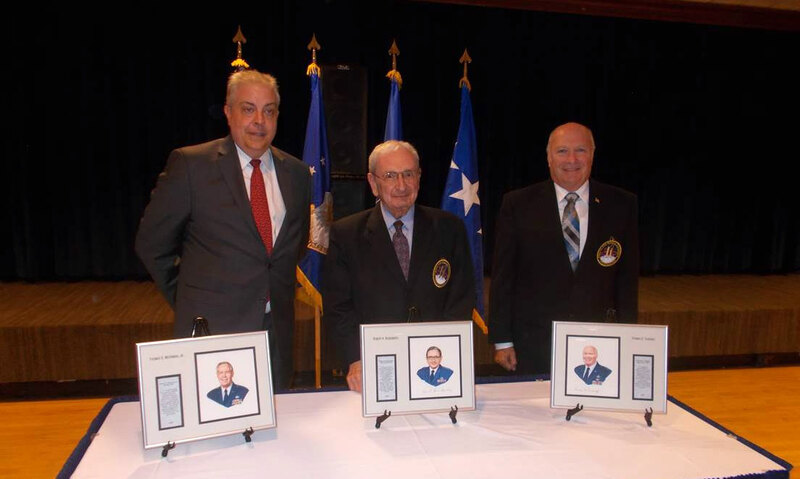 As inductees to the Air Force Space and Missile Pioneers Hall of Fame, the Lance Sijan Chapter of the AFA commissioned custom, oil portraits of each of the three individuals. 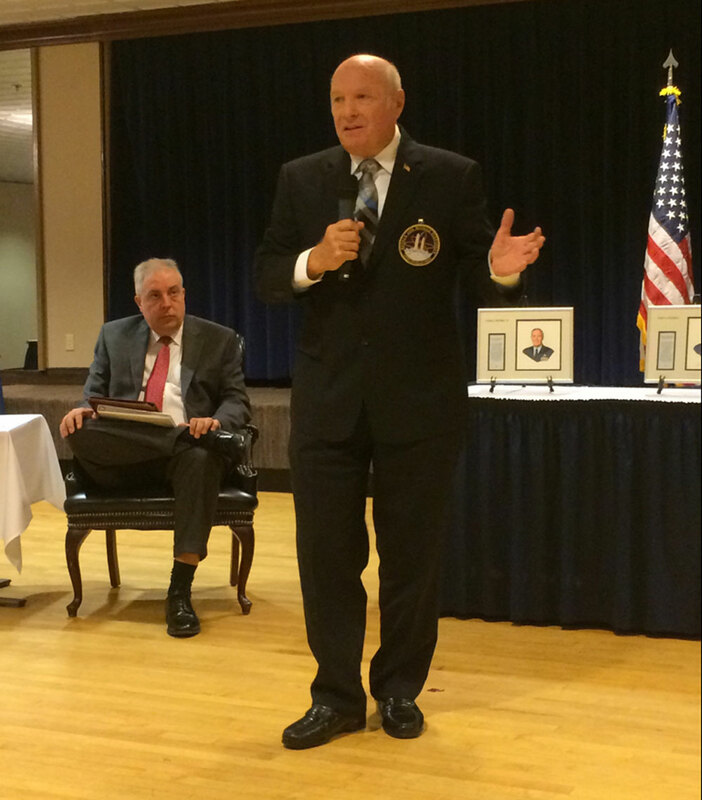 The portraits, painted by renowned aviation artist Mr. Jay Ashurst, were gifted to AFSPC by the Lance Sijan Chapter. 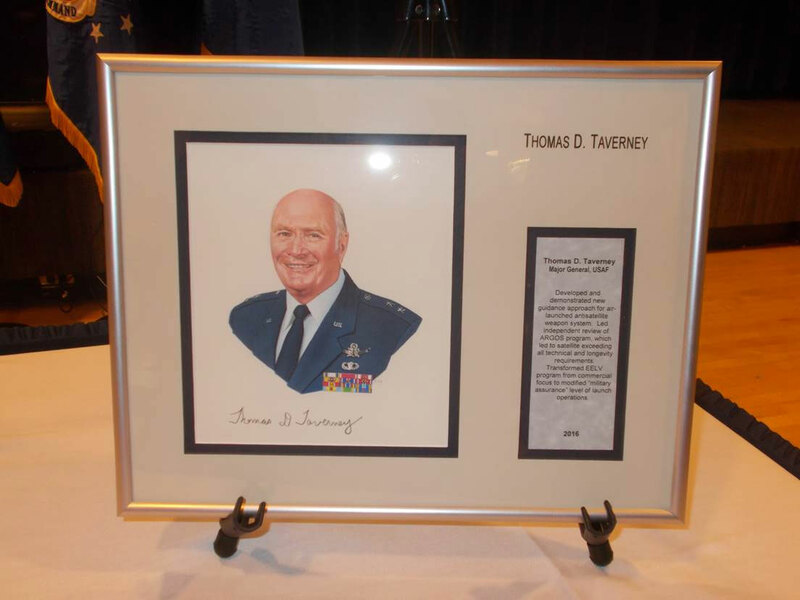 These portraits will hang with those of previous award recipients in the lobby of the James Hartinger Building (Building 1) at Peterson AFB, Colorado, Headquarters of AFSPC.